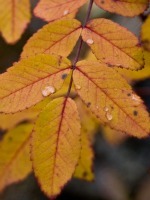 Carl Sandahl passed away Thursday, September 25, 2014 in Allegan. Mr. Sandahl was born June 6, 1929 in Watson Township to William and Ida (Erickson) Sandahl. Carl was an Allegan High School graduate who served his country in Air Force during the Korean War. Carl did some farming and for many years had worked at Mac Sim Bar/Mead/Rock Tenn until his retirement in 1995. In his leisure time he enjoyed square dancing, golfing, bowling, and lawn care. On April 5, 1952 in Allegan he married Maxine Thompson, who survives. Also surviving are his children, William (Laura) Sandahl of Scotts and Sharon (John) Sakal of Allegan; his 5 grandchildren, Tyler and Kelsey Sandahl and Becky, Jason and Joseph Sakal and many nieces and nephews. He was preceded in death by 2 sisters and 2 brother-in-laws, Viola (Gerald) Eckert and Esther (Robert) Crim; and his nephew, Ted Thompson. Friends may meet with Carl’s family Tuesday, September 30, 2014 from 2-4 P.M. and 6-8 P.M. at the Winkel Funeral Home, Otsego. A Funeral Service will be held Wednesday, October 1, 2014 at 11:00 A.M. at Peace Lutheran Church of Otsego, with Pastor Jason Thiel and Pastor Josh Olson officiating. Burial will follow at Mountain Home Cemetery, Otsego. Contributions in memory of Carl may be made to Peace Lutheran Church of Otsego, Hospice of Holland or Briarwood Assisted Living of Allegan. 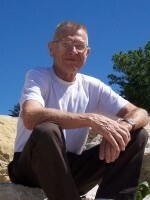 Allen Kelso Robinson of Plainwell passed away Saturday, September 20, 2014 at his home. Mr. Robinson was born October 26, 1936 in Plainwell to Roy and Eloise (Kelso) Robinson. He served his country in the Army Airborne. 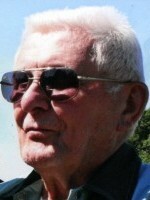 Allen was a graduate of Plainwell High School and had worked at Plainwell Paper Company retiring in 1999 after 40 years. He was a past President of Local 1062 and in his leisure time had built doll houses for all his grandchildren. On October 17, 1958 he married Jo A. Bradshaw who survives. Also surviving are his children, Jenann (Dave) Pearson of Plainwell and Douglas (Sarah) Robinson of Plainwell and a son-in-law George Pearson of Plainwell; 9 grandchildren, Allison, Jamie, Brooke, Sara, Andrew, Ian, Brodie, Ellery and Aviah; 2 great grandchildren, Reid and Parker and one expected in November; his sister Mary Jane (Gordon) Rantz. He was preceded in death by a daughter Kelene Pearson and his sister Cheryl Chapin. Cremation has taken place. A Memorial Service will be held on Wednesday, September 24, 2014 at 1:00 p.m.at Hope Lutheran Church, Plainwell with Pastor Dave Louder officiating. Contributions in memory of Allen may be made to Hospice Care of South West Michigan or Alzheimer’s Association. 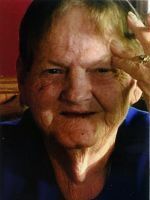 Beverly Ann Keckler passed away Sunday, September 21, 2014 in Otsego. Beverly was born April 12, 1942 in Kearney Township, Antrim County to Lloyd and Eloda (Thomas) Trumble. Surviving are 7 children, Sandra Kay Merchant, Debra Ann VanDerVeen, John Henry Keckler, Christine Marie Rhoads, Anita Louise Owen, Sarah Lee McKenney and Jay Dee Keckler; 17 grandchildren; 23 great grandchildren; her siblings, Jerry Trumble, Lloyd ‘John’ Trumble, Sandra Cam, George ‘Tim’ Trumble and many nieces and nephews. She was preceded in death by her parents, her husband Charles Henry Keckler, a grandson Alexander and great granddaughter Christin. Cremation has taken place according to her wishes. Contributions in memory of Beverly may be made to the family for expenses. Jerry D. Vote passed away Wednesday, September 17, 2014 at Wings Home in Allegan. Jerry was born August 20, 1939 in Otsego the son of Walter and Clara Vote. He was a groundskeeper for Kalamazoo Public Schools and also did some farming. Jerry loved to recycle things and enjoyed trading and bartering. In his spare time he liked fishing, hunting, and watching wrestling on TV. Most of all Jerry loved spending time with his family. Surviving are his children, Dawn (David) Taylor of Lawton, Mark (Donna) Vote of Mississippi; his step-son, Terry Hodges of Wayland; several grandchildren; and many extended family members. In lieu of flowers contributions in memory of Jerry may be made to Wings of Hope Hospice of Allegan. Bonnie L. Gray of Wayland passed away Tuesday, September 16, 2014 in Kalamazoo. Mrs. Gray was born February 17, 1942 in Allegan to Robert and Dorothy (Kortba) Wicks and was a lifelong resident of the area. Bonnie was a homemaker who enjoyed her cats, trips to the casino, reading and watching soap operas. On October 25, 1958 in Plainwell she married William Gray, who survives. Also surviving are their son, William Dale Gray of Kalamazoo; two brothers, Herb (Bobbie) Wicks and Doug (Marge) Wicks, both of Plainwell; several nieces and nephews. At her request cremation and a private family graveside have taken place. Contributions in memory of Bonnie may be made to the West Michigan Cancer Center. 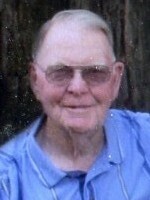 Leon ‘Mort’ ‘Lovey’ Holmes of Otsego, MI passed away peacefully Saturday, September 13, 2014 at his home in Otsego. Leon was born July 1, 1927 in Otsego to Waldo and Mary Agnes (Kortokrax) Holmes. Leon served his country in the Army during WW II. He is survived by his longtime companion Sally Hendrixson; 6 children, Dan (Connie) Holmes of Kalamazoo, Joe (Cindy) Holmes of Plainwell, Jeff Holmes of Ludington, Rob (Frances) Holmes of Arcadia, Pam Holmes of Gobles, Angela (Rick) McKeown of Gobles; 18 grandchildren and 21 great grandchildren. 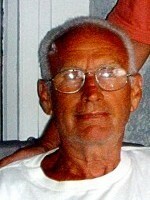 He was preceded in death by his wife Joan, daughter Teresa, grandson Shawn and his sister Carolyn Lawrence. Leon’s love of automobiles led to a lifetime career as an auto mechanic. He owned Morton’s Garage in Kalamazoo for over 30 years. He was an avid bowler, bowling a 300 game at age 72. Leon enjoyed boating, water skiing and fixing anything. He loved good food and most of all he cherished his family. His great sense of humor touched the lives of everyone he knew. Friends may visit with Leon’s family from 2-4 and 6-8 P.M. Tuesday, September 16, 2014 at the Winkel Funeral Home, Otsego. A Funeral Mass will be held Wednesday at 10 A.M. at St. Margaret’s Catholic Church, Otsego with Rev. Fr. Ted Martin officiating. Burial will follow at St. Margaret’s Catholic Cemetery. In lieu of flowers contributions in memory of Leon may be made to Wings of Hope Hospice or St. Jude’s Children’s Hospital. 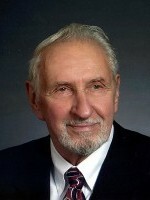 Bruce Baeuerle of Kalamazoo passed away Thursday, September 11, 2014 in Kalamazoo. Mr. Baeuerle was born October 1, 1935 in Chillicothe, OH to Louis and Helen (Magneson) Baeuerle. Bruce served his country in the Army during the Korean Conflict. He worked as an independent contractor doing remodeling and repairs. He could fix anything. He is survived by his wife Virginia (Walters) who he married on November 15, 1968 then remarried on November 15, 1986. Also surviving are his children, Tim (Michele) Overhuel, John (Debra) Overhuel, Steve (Pam) Overhuel, Christine and Alan – his children from a previous marriage; 2 grandchildren, Mark and Melissa; and his dog Mac. He was preceded in death by his parents, a step daughter Julie Ann White and her children, Michael and Lisa and a step son Mark. According to his wishes cremation has taken place. Burial of ashes will take place at Mountain Home Cemetery, Otsego at a later date. Contributions in memory of Bruce may be made to the ASPCA. Kathy Sue Salyer of Bloomingdale, Michigan, passed away Tuesday, September 9, 2014 in Allegan. She was born October 16, 1952 in Huntington, IN to Lewis and Kathryn (Schenkel) Hart. Kathy was a very spiritual person and her faith was uplifting for her and her family. 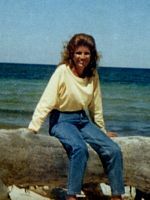 In her leisure time she loved flowers and traveling to the Upper Peninsula and Mackinaw Island. She was a devoted homemaker and loved her family and especially loved spending time with her grandchildren. On January 5, 1974 in Marion, IN she married Ross “Bryan” Salyer, who survives. Also surviving are three sons, Derek (Crystal) Salyer of Leonidas, Cory (Shea) Salyer of Kalamazoo and Sean (Aryanna) Salyer of Fortuna, CA; four grandchildren, Ashley, Brett, Erin and Rachel; her mother, Kathryn Hart of N. Manchester, IN; and a brother, Richard Hart of Fort Wayne, IN. She was preceded in death by her father in 2005 and her brother, Larry Hart, in 1977. Cremation has taken place. A private service will be held later. Contributions in memory of Kathy Sue may be made to the American Cancer Society. Dakota J. Arndt age 3 was taken from us Friday, August 29, 2014 in Tennessee. Dakota was born February 5, 2011 in Grand Rapids to Tyler Arndt and Brianna Kwekel. He enjoyed playing, especially with his trucks. Dakota was an organ donor, he has given the gift of life to three people who were able to use the donation made by Dakota. The ability for something so positive to come from such a tragedy brings some peace to his family. Surviving are his father, Tyler (Amanda Cleaver) Arndt of Kalamazoo; his grandparents, Marion Hutchinson and Steve Snider of Hastings, Carolyn Baker of Kalamazoo and Steve Kwekel of Cedar Springs; his great-grandmother, Margaret Delp of Allegan; his aunts and uncles, Dan, David and Tim Arndt, Chad Snider, Jeremy Peckham, Shelia and Alexis Lepley and Nicki and Shawn Kwekel. Preceding him in death is his great-grandfather, Leroy Delp. A Memorial Service will be held Friday, September 12, 2014 at the Winkel Funeral Home, Otsego. Friends may visit with Dakota’s family from 10:00 A.M. until the time of the service at 11:00 with Celebrant Bill Rose officiating. 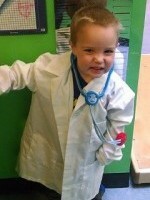 Contributions in memory of Dakota may be made to his family at gofundme.com/dakotaarndt.